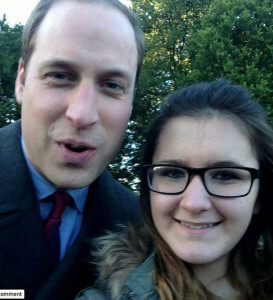 Check-out Prince William’s Adorable Selfie! Cosmopolitan reports, “You would think Prince William would have people to do this sort of thing for him. He’s a prince, after all. But as famous people have shown again and again, there’s a certain appeal to just taking a selfie. Prince William made this clear when he snapped this sweet shot with 12-year-old Madison Lambe at Sandringham Estate on Christmas. “You can’t beat a good selfie on Christmas Day,” he said, according to the Prince William and Kate Facebook page.